Digital History (or Digital Humanities and/or Social Sciences, more generally) has exciting possibilities for knowledge mobilization, community engagement, and access to primary documents and secondary analysis. I see Digital History (Humanities/Social Sciences) as being more public-facing than traditional engagements in the discipline(s) because of how the emphasis on the digital forces a more networked approach to both the process and product of historical work. Digital history, or #DH, can then be thought of being part of, and developing, a greater conversation between history/historians and the public because digital tools and technologies invite more space for collaboration. As a history education strategist, I find this especially exciting for classroom practice. I recognize, however, that one may have felt like one needed to know programming or code to engage in #DH. But the ubiquitous presence and use of today’s digital technologies means that we can now engage in #DH without needing to know how to program. One could simply “do” DHSS by focusing on the meaning making potential of digital tools and technologies. Many of us already do this without calling it #DH. When we ask our students to search for a website or an article, to map something on Google, to collaborate on an online document, to participate in a discussion on Facebook – these are all practices that invite students to find, collect, organize, and/or analyze using digital technologies. What makes practices explicitly #DH practices is when we’re thoughtfully and explicitly using these technologies to develop skills of critical thinking, doing, and communicating. This means that students are not just creating digital products but engaging in the process of digital development, argumentation, and presentation. Through the explicit combination of digital tools and technologies with course content, students are experientially learn how to develop and communicate their learning of history with historical evidence and for a wider audience. The Instructor’s Guide takes elements of these exhibits and uses them to highlight the theory behind #DH, how this theory looks in instructional practice, and nine different assignments that you could use to bring #DH into your classroom. While it may be too late to revise your syllabus to bring these assignments in this term, an activity such as metadata creation/archival description or primary source transcription could be done as a class or tutorial to highlight the subjectivity of how historical knowledge is accessed and made available. You could connect with your library to see if there are already digitized materials that could be used by your student to create an exhibit or put together a digital story in lieu of an essay (they still would be making an argument and using historical evidence to support it; could they present it in a different way?). You could also find historical images to engage in historical photo analysis or public-education style photo analysis as a class. (A new site, Canada’s Archives, is in the process of consolidating links to archives across Canada to highlight sources for available digital images.) If you’re supervising graduate students and/or undergraduate capstone projects, you could also introduce them to how creating an archive may be an interesting way to shape their projects. All of these engagements with history use digital tools and technologies to create and present historical knowledge in ways that traditional engagement alone would not have reach or capacity for. Thus, #DH can be an exciting invitation for your students to think of history as being beyond the classroom. The Guide is being piloted up until November 1, 2018. Any comments or recommendations during this time are welcome. Workshops and consultations will also be held at York University throughout September and October. Happy creating! Dr. Samantha Cutrara is a History Education Strategist and is currently completing an Instructor’s Guide for York University on bringing Digital Humanities and Social Sciences into classrooms. Find more information about her consulting and academic work on her website SamanthaCutrara.com. This work was created at York University. 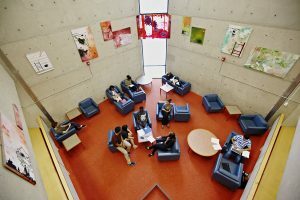 York University recognizes that many Indigenous nations have longstanding relationships with the territories upon which the York campuses are located; relationships that precede the establishment of the university. York University acknowledges its presence on the traditional territory of many Indigenous Nations. The area known as Tkaronto has been care taken by the Anishinabek Nation, the Haudenosaunee Confederacy, the Wendat, and the Métis. It is now home to many Indigenous Peoples. We acknowledge the current treaty holders, the Mississaugas of the New Credit First Nation. This territory is subject to the Dish with One Spoon Wampum Belt Covenant, an agreement to peaceably share and care for the Great Lakes region.